We believe in the pursuit of growth that’s in harmony with nature. It’s a Toyota core value we actively follow — through the vehicles we develop, and through the actions we take. Through intentional care and commitment, we’ve reduced the amount of waste we send to landfills, the amount of energy we use, the amount of water we consume, and much more. We use compostable containers at our Head Office. To reduce waste, we repurpose large amounts of wood by reusing cardboard dividers and wooden skids at Parts Distribution Centres. We recycle all car seat covers and mirrors at the Montreal and Toronto Vehicle Processing Centres. We switched from single pane to energy efficient windows at the Toronto Parts Distribution Centre. From water cisterns to on-site solar power, our dealerships use green building principles to help design, build, renovate and manage their facilities in a more sustainable way. Four Canadian Toyota dealerships have achieved a LEED® Gold Standard: Stratford Toyota, Stouffville Toyota, Welland Toyota and Vandermeer Toyota. Open Road Lexus has achieved a LEED® Silver Standard. Both Gold and Silver Standards are amongst the strictest levels of certification from the Canadian Green Building Council. In 2001, Toyota Canada’s Head Office became the first sales affiliate in our global network to achieve ISO 14001 certification — the most important environmental management standard of the International Organization for Standards (ISO). By 2010, our Head Office had reduced total energy consumption by one percent. Initiatives included switching from plastic and styrofoam to biodegradable containers, recycling bottles, plastics, cans, compost, metal, wood, plastic wrap, tires, oil and 20,000kg of electronics. Toyota Canada also conserved water, and reduced emissions and fertilizer by raising grass height at our main campus. The effectiveness of any initiative rests with the people who carry it out. In large and small ways, we’re raising awareness amongst all Toyota team members including: mandatory training and an annual ISO quiz, requiring vendors to properly dispose waste materials, encouraging service providers to offer environmental advantages. We support environmental programs that help strengthen diverse communities across North America — not just with money, but also with our own efforts and initiatives. At the end of 2015, Toyota Canada and its dealerships contributed over $3.2 million to 5,528 schools, impacting more than 1.15 million students through projects that transform barren school grounds into natural sources of wonder. As part of an annual Earth Week tradition, employees from Toyota Canada venture into their local area to “make over” their community, cleaning up ditches, ravines and playgrounds. 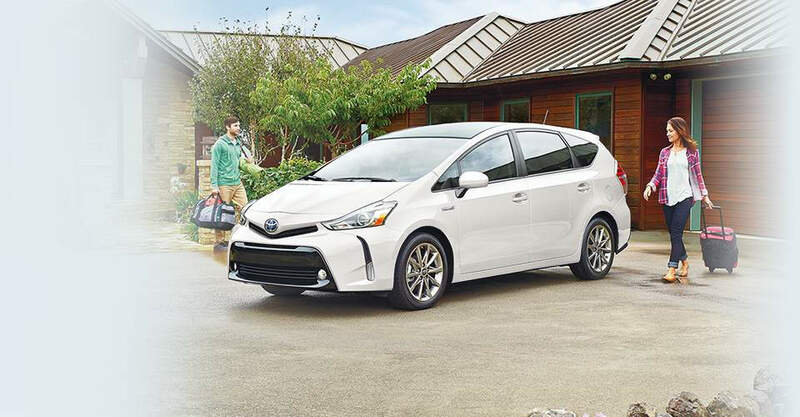 Since we introduced the world’s first production hybrid — the Prius — back in 1997, we’ve never looked back. We’re proud to lead the way in eco-technology in our vehicles, continuously researching better energy alternatives. Year after year, with each new generation of Toyotas, we’re moving steadily closer to our vision of a cleaner mobile future. The Rallye Vert de Montréal is the Canadian stop in the world championship of green rallies, as part of the Fédération Internationale de l’Automobile (FIA) Alternative Energies Cup series. In the fall of 2012, a Toyota Prius Plug-in placed first for the third year in a row. 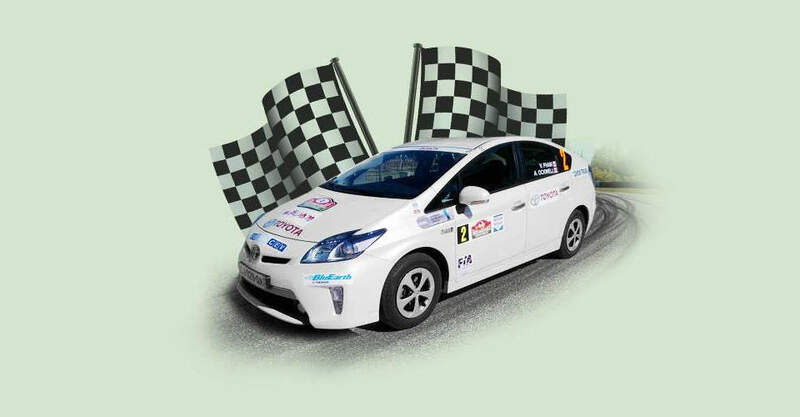 The win propelled them into the 2013 Rallye Monte Carlo des Energies Nouvelles, the world’s oldest and most prestigious green rally, where the Prius PHV placed 1st in hybrid fuel consumption and 5th overall of 113 entries. Every year, we challenge ourselves to minimize our environmental impact. The North American Environmental Report is an annual report on our progress, success, and an inspiration for what we hope to do next. So you can see what we’re doing, how we’re doing, and where we’re going.